Bomber VP Joe Mack says Buck Pierce is out indefinitely. “We received confirmation late yesterday evening that Buck has sustained torn ligaments and a torn muscle in his left foot as a result of Friday’s game,” he said in a statement posted on the Winnipeg Blue Bombers’ website. Pierce was injured in Friday’s game against the Edmonton Eskimos. 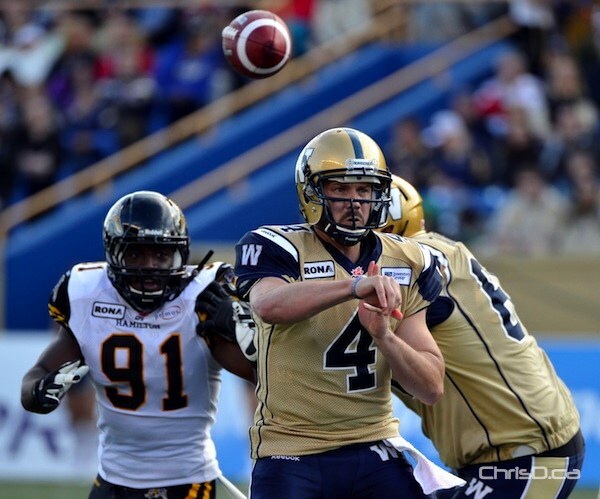 Backup QB Alex Brink will play in Wednesday’s game.